Shima Seiki make flat knitting sewing machines and sometimes the controller software program or patterns are stored on Magneto Optical Disks often 3.5inch (90 mm) eg Sony SMO-230. The disk can get corrupt and prevent file access. DO NOT run scandisk as it will likely delete some of the files - we had this happen to one client! Simply email us for a recovery quote. 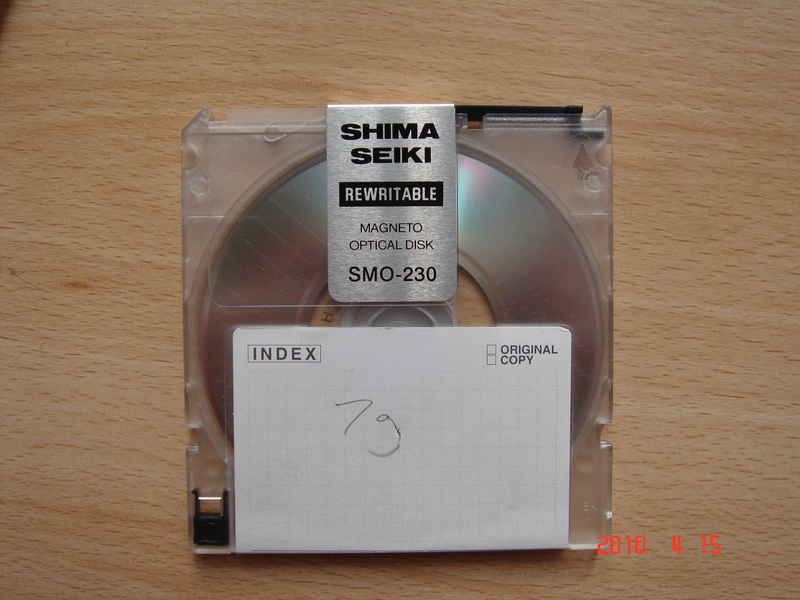 If you need a Shima Seiki MO Disk File Recovery service, then contact our friendly company. Shima Seiki make flat knitting sewing machines and sometimes the controller software program or patterns are stored on Magneto Optical Disks often 3.5inch (90 mm) eg Sony SMO-230. The disk can get corrupt and prevent file access. DO NOT run scandisk as it will likely delete some of the files - we had this happen to one client! Simply email us for a recovery quote..